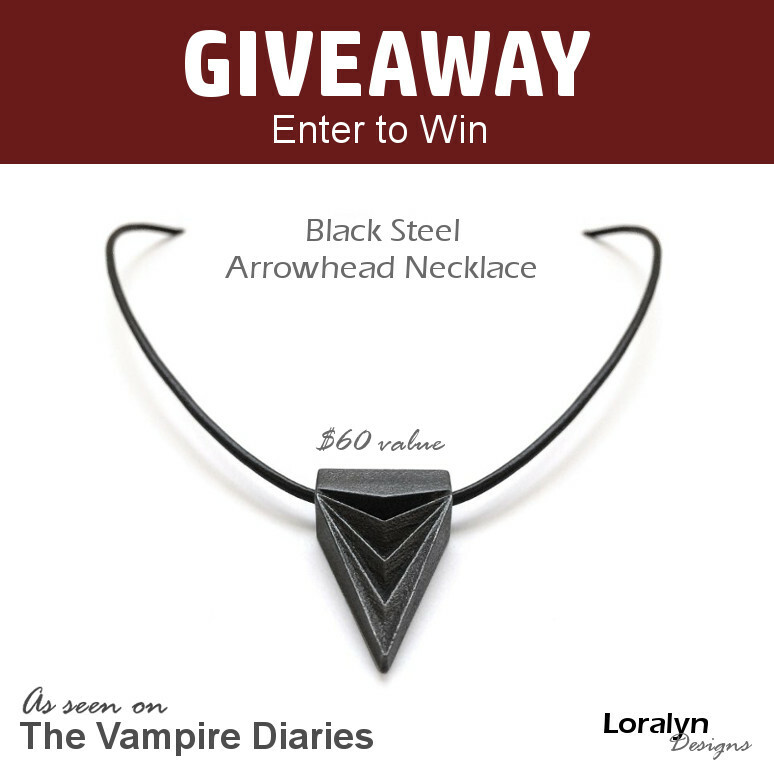 Loralyn Designs has teamed up with vampirediariesonline.com to offer you a chance to win our black steel triangle necklace that was recently worn on the show! The winner will be picked on April 1st just before the spring premiere of The Vampire Diaries so don't delay. Check out the press release and link to the screenshot from the show here.